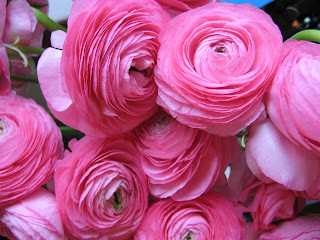 Love ranunculus! I just comment on these to a friend today, and we discussed growing these. I need to try agin. It's been years. Good luck! So pretty!! Happy New Year!! What a beautiful share. I will cross my fingers too, as I cannot wait to see the beautiful blooms that will come from these gorgeous bulbs. I know they will be exquisite. I love the shade of pink but those dark centers make the flower. What an element of surprise. I have so enjoyed blogging with you in 2010. I can't wait for 2011 sweet friend. Many hugs to you. Happy New Year sweet friend. It is almost 10pm here. Counting down. I found my way over here from Mrs. Magpie's--loved the name of your blog and had to investigate! I've never seen this type of flower, but I am going to have to check them out to see if The Corn would be a proper planting zone for them. Ah, the first PS of the year! :) And what a way to start, these flowers are beautiful! Happy New Year! 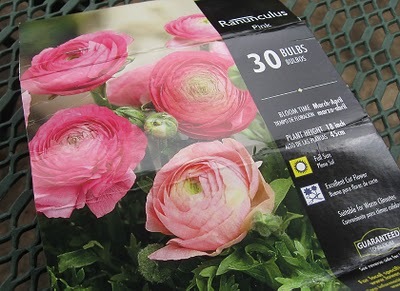 Ranunculus just don't get enough attention for their amazine beauty. They are so beautiful and I always have them in my garden. Happy New Year and Happy Pink Saturday, too! 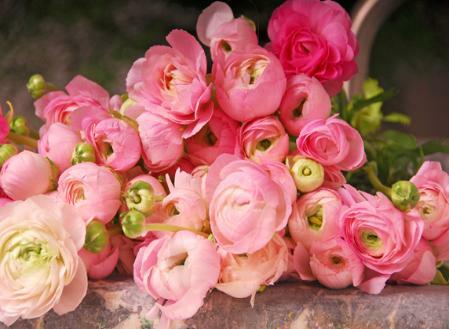 Thank you for the gorgeous dose of pink...I love Ranunculus! Happy New Year Sweet Friend!! How beautiful! I'm spending this rainy New Year's Day with my husband and two sons. We're breaking the tradition of black-eyed peas and greens and going out to eat instead. I gave a shout out for you, and posted a very special PINK SATURDAY photo, just for you. Happy New Year. Happy New Year, Nerina ~ What beauties they are ... so pink, full & elegant. I love them, also. Thank you for a beautiful year of friendship ... so looking forward to many more wonderful moments. What beautiful photos. Those flowers are gorgeous. Happy Pink New Year. The ranunculus are sooo beautiful! Happy New Year Nerina! I hope 2011 brings you health, happiness and all the things your heart desires! 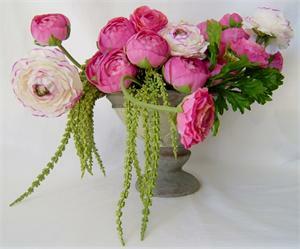 Love the pink ranunculus! Just gorgeous!! 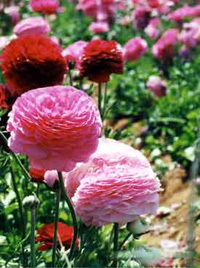 My Dear ,I dropped by to visit your blog because the name of it was fantastic.I love to say it.I agree with you about ranuculus,but mine always die right away.If you like drop by and visit with me any time.Sweetie-where are your Nic Nacs?-Show us some pretty please. Oh my sweet friend...I love those flowers...my favourites...they are soooooo girly. I agree - definitely a favorite flower. They are gorgeous!